Last month, BP announced that it will sell its Forties Pipeline System (FPS) in the North Sea, to focus on growth with new projects including the Quad 204 redevelopment and Clair Ridge. Lying 75km to the west of the Shetland Isles, Clair Ridge is a multi-billion investment by BP, Conoco Phillips, Chevron and Shell that will extend the productive life of the Clair Field from 2028 to 2050. 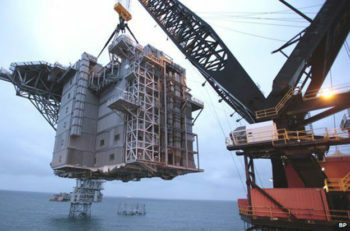 The installation includes two bridge-linked platforms – and in 2015, BD Systems won the design and supply contract for H120 and A60 Blast Skirt Panels, to be incorporated into the quarters and utilities (QU) topside module. 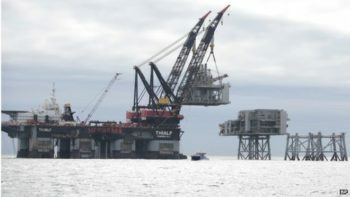 The platform’s six-storey living quarters and helideck were placed on top of the Utilities and Power Generation Module, creating a void of varying degrees between the two modules. That void needed to be filled without compromising the fire and blast integrity of the complete structure. BD responded by designing a solution using its H120 and A60 rated blast wall system. While suitably robust, these blast walls offer the lightest construction available on the market. With a flexible method of installation, BD’s system could incorporate access doors, yet still be shaped to accommodate the module’s main structural members. And because the Blast Skirt was being fixed onto both painted and insulated steel plate, only a fully mechanically fixed system could be considered. The total install of the doors and walls was achieved without any need for onsite hot work. With a two-hour fire rating, H120 Heavy Duty blast walling is a revolutionary composite panel system. Lightweight and fully mechanically fixed, the non load-bearing stainless steel panels replace conventional heavy external steel plate cladding, while internally they can be used in place of steel plate bulkheads with added insulation and decorative liners, particularly where there is a high risk of hydrocarbon fires. A60 Heavy Duty blast walling is a flexible system that offers similar properties to the H120 and, with a one-hour fire rating, is typically used around galleys, laundries and plant rooms. And the blast walls not only provide protection for personnel working on services inside the void area between the two modules, they also protect the underside of the living quarters (LQ), the topside of the quarters and utilities integrated deck (QUID) and the stairwells. BD Systems’ approved installer Cape Services of Aberdeen carried out the installation of the Blast Skirt at Clair Ridge in June 2015. You can see a video of the modules, including BD Systems’ blast panels at the base of the helipad module, being installed here.